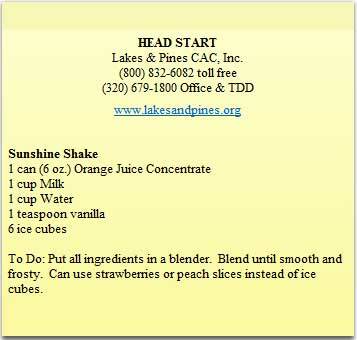 Head Start is a family and child development program for preschool age children. 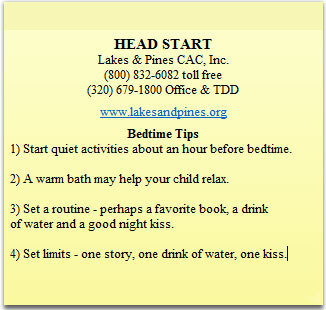 All Head Start services are at no cost. We believe parents know their children best and are their child’s first and most important teacher. We work to guide you through your child’s health and development and assist your family with setting and achieving goals. For families where at least one caregiver is home during the day. Families receive weekly home visits and regular socializations. • Weekly 1 1/2 hour visits in your home jointly planned by parents and a trained Home Visitor. • Lesson plans specifically designed for you child to get him/her ready for Kindergarten. • Opportunities to interact with other parents and children in a classroom setting. • Parent meetings for sharing and planning. • Parents help plan the visits, share their observations and help set child goals. • Appointment times are on a regular schedule and take into account work and school schedules. • Each home visit is 1 1/2 hours long, but can be longer. • Sibilings who are not enrolled are included as much as possible. • Staff will assist in completing a Family Partnership Agreement which helps identify family strengths, resources need, and family goals. • Families can request visits by their Family Advocate if they're experiencing a difficult family situation, crisis, or would like help with family goals. • Parents and children attend together. • For Head Start (Ages 3-5), Socializations are held either every-other week or every week (depending on location), and a meal is provided for enrolled children. Head Start Partners with licensed Child Care providers. This option is for families working or attending school and need 20 hours or more of child care a week. Please call for locations. This option is available to 3-5 year old children. 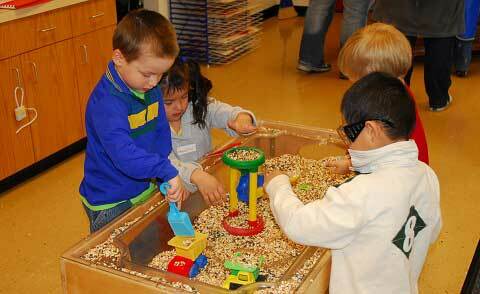 • Approved preschool curriculum with structured, age-appropriate activities. • Regular visits to sites by Head Start staff and licensing checks to help ensure quality of care. 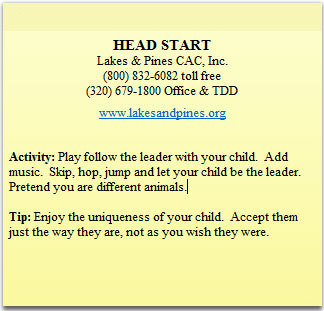 • Regular meetings between parents and Head Start staff. • Quarterly opportunities to interact with other families. • Evening Socializations occur four times a year, and a meal is provided for the entire family. For families with children birth to five years old living in a shelter facility within Isanti County. • Socializations occur weekly and include a meal for all family members present.